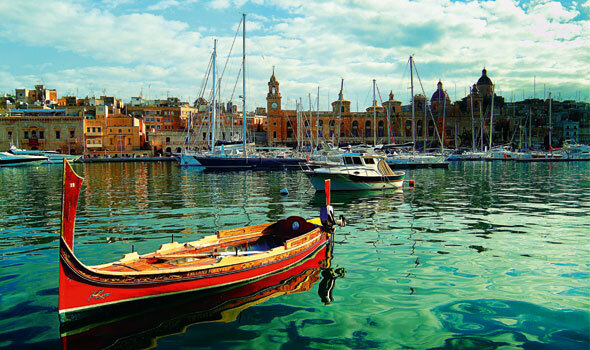 The Med is overflowing with history, culture, shopping and fine food. Is it any wonder that it’s become the second most popular cruising destination in the world? The Mediterranean is the world’s most popular cruising area after the Caribbean, thanks to its abundance of culture, stunning scenery, wonderful food and great shopping. Little can beat the thrill of gazing out over the rooftops of Venice as your ship glides up the Giudecca Canal, or gazing at the Parthenon under a dazzling blue sky with the whole of historic Athens stretching out below. Whether you’re a first-time cruiser, an adventurer or a seasoned traveller in search of culture, there will be a Mediterranean cruise for you – from a weekend break out of Barcelona to a specialist archaeology cruise to a family jaunt around the best beaches. Given the lack of rainforest or coral reefs, you won’t find the abundance of ‘soft adventure’ excursions that are so popular in the Caribbean; the Mediterranean is a more cerebral place, with most emphasis on culture and history (and shopping), although there are some great activity excursions on offer, like cycling round Rome, or volcano hikes in Sicily. The key to enjoying a Mediterranean cruise, though, is to slow down to the pace of the locals in the heat of summer. 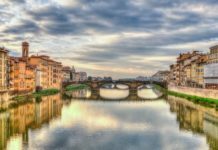 Combine cultural visits with spells of relaxation; for example, if you’re cramming the whole of Rome into a day, opt for an easy day to follow – maybe a long, lazy lunch in a really good trattoria in Florence, or a boat ride to Capri from Naples. This way, you’ll avoid cultural overload and be able to appreciate the true essence of the Mediterranean lifestyle. Cruise ships travel all over the Mediterranean, from Gibraltar, which overlooks the narrow entrance to the whole Mediterranean basin, to Istanbul, guarding the mouth of the Black Sea, Cyprus in the far east and Alexandria on the southern shores, the jumping off point for day trips to Cairo. Although there are any number of permutations of itinerary, a typical Western Mediterranean cruise might include the east coast of Spain, the south of France and the west of Italy, as well as the Balearics, Sardinia, Corsica and Sicily. A voyage sold as ‘Eastern Mediterranean’ would probably call at Adriatic ports (Italy, Croatia and Montenegro), the Greek islands (Mykonos and Rhodes are the most popular) and the Turkish coast. But there are plenty of cruises that sail from Venice to Barcelona, or Athens to Rome, and others that simply potter around the Greek islands or the Balearics. Bear in mind that if you cruise from the UK, you will spend two days at sea getting to the Med and two back again, usually with a stop somewhere like La Coruna in northern Spain, or Lisbon. Great if you like days at sea, during which there is plenty to do on a big ship, or if you’re British and don’t want to fly. Less good if you’re anxious about seasickness or worried about getting bored, or if you want to squeeze as much Mediterranean into as limited a time as possible. 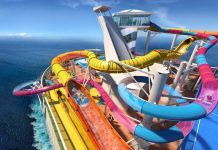 These cruises, offered by P&O Cruises, Royal Caribbean and Princess, tend to be very popular with British families in summer as all the ships are well equipped for the family market. Another option is to go by rail – getting to the South of France is easy by train. Otherwise, most itineraries that start and finish in Mediterranean ports will include only one day at sea out of every week or so, as most visitors to the Med prefer to be in port. Cruise ships normally dock in the early morning and depart after sunset, although there’s a growing trend among the more upmarket lines of overnighting in port, so passengers can eat ashore and sample the nightlife. If you’re planning your first cruise to the Med, it’s as important to choose the right ship as it is the right itinerary. Most of the big cruise lines – Royal Caribbean, Princess, Celebrity and NCL – sail out of their summer Mediterranean bases on itineraries that provide a good overview of all the big highlights. Royal Caribbean’s Brilliance of the Seas, for example, has seven round trip cruises from Barcelona that include Cannes (for easy access to Monte Carlo), Livorno (the nearest port to both Florence and Pisa), Naples, an overnight in Venice, Dubrovnik, Corfu and then two days at sea to wind down. Princess Cruises’ brand new megaship, Ruby Princess, has 10 cruises operating between Venice and Barcelona, calling at Monte Carlo, Livorno, Civitavecchia (an hour from Rome), Naples, Mykonos, Istanbul, Kusadasi (for the antiquities at Ephesus), Athens, as well as an overnight stay in Venice. The benefit of smaller ships is that they can call at smaller, out-of-the-way ports. 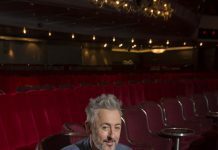 Windstar Cruises, which operates three graceful motor-sailing ships, calls at jet-set haunts like Portofino, Portoferraio in Elba and Porto Cervo in Sardinia – places you’d never find a giant ship disgorging 3,000 passengers. Seabourn, which operates elegant, 208-passenger ships, explores shorelines in depth; the Dalmatian Gems itinerary, for example, sails from Venice to two beautiful Croatian ports, the ancient town of Kotor in Montenegro, Koper in Slovenia and Trieste in Italy. Star Clippers, meanwhile, offers a chance to sail in a magnificent square rigger to ‘real’ yachtie havens, like Ponza off the coast of Italy, glamorous Capri, Amalfi and the Aeolian Islands off the north coast of Sicily, where an evening is spent sailing past the erupting Stromboli volcano. Some cruise lines – Swan Hellenic, Voyages of Discovery and Spirit of Adventure, for example – offer in-depth, cultural cruises. Take Spirit of Adventure’s ‘Mount ains and Mysteries’ cruise in September 2009, a specialised itinerary from Istanbul via Greece and Sicily to three ports in Algeria, for exploration of little-visited archaeological sites, and on to Tunis, Sousse, Gozo and Valletta. On the other hand, you could choose budget line Ocean Village for a relaxing week mixing the culture with options for a different beach or water park every day on excursions that are tailored for families, teens and first-time cruisers. It really just goes to show that summer in the Mediterranean can be anything you want it to be. Southampton – ideal if you’re local and don’t want to fly, or if you have come from the US and want to explore Britain before or after your cruise. 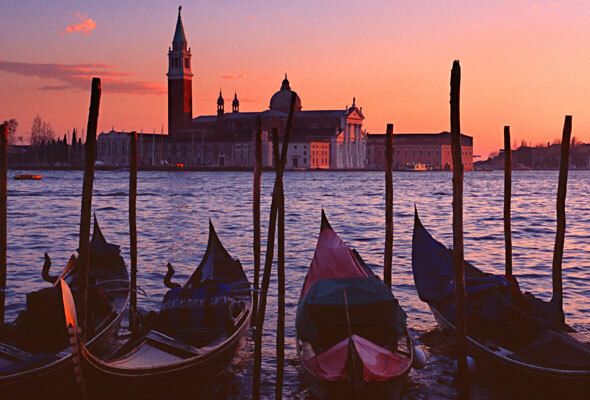 Venice – this is the place to start for cruises visiting the Adriatic and often, the Greek islands. Palma – the summer base for Thomson and Ocean Village, who offer competitive cruise-and-stay deals. Barcelona – stay on for a couple of days to explore the famous nightlife of this vibrant city. Rome – with easy access for intercontinental flights you have to stay on, as nobody can ‘do’ Rome in a day. Undecided? – Costa Cruises and, to an extent, Silversea, allow you to board at ports midway through an itinerary. P&O Cruises carries almost exclusively British passengers, and a lot of families in July and August, although its ships Arcadia and Artemis are adults-only. Royal Caribbean International attracts a younger market, particularly on its mini-cruises from Barcelona, which include an overnight in Ibiza. Costa Cruises is very popular with Italians in the summer, particularly families. It’s worth noting that the Italian school holidays begin in June. Any cruises out of Venice, Barcelona and Rome will carry a real mix of nationalities and age groups – great if you prefer an active, multicultural environment. Fred Olsen Cruises caters to passengers of a certain age – usually over 55 – and Saga caters for over 50s only. Fred Olsen Cruises and Hebridean International are particularly friendly to singles, not only in terms of price but also the on-board ambience. Silversea, Regent Seven Seas, Crystal and Yachts of Seabourn are very upmarket cruise lines and tend to carry mainly wealthy couples. Mediterranean summers are hot and dry, with hot winds and occasional squalls. Towards November, the days are much shorter and the weather cooler and wetter. Stay south towards the end of the season. On a tight budget? EasyCruise, Ocean Village and Thomson all offer incredibly great value. With kids? P&O Cruises, Princess, Costa and Royal Caribbean all have family cabins and kids’ clubs. Looking for something more elegant? Holland America Line, Oceania, or Celebrity offer a more upmarket experience that is priced accordingly. Money to burn? 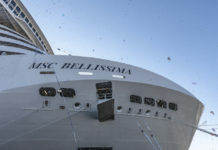 Silversea, Regent Seven Seas, Crystal and Yachts of Seabourn represent the last word in luxury Mediterranean cruising. Most of the main cruise destinations use the Euro, including France, Italy, Greece, Spain, Malta and Cyprus. The North African countries and Turkey have their own currencies and Gibraltar uses its own version of British pounds. On board, British ships like those of P&O Cruises, Thomson Cruises and Ocean Village use Sterling; American-run ships like those of Royal Caribbean, Celebrity, Princess and NCL use US dollars, and Italian lines like Costa use Euros. No Mediterranean cruise would be complete without eating out on several occasions; do take advantage of this if your ship is in port for a night. Or simply take a day ‘off’ sightseeing and indulge in a long, lazy lunch in some exquisite little fishing port. Avoid the tourist traps – Piazza San Marco in Venice, Plaka in Athens and Las Ramblas in Barcelona, and aim for more ‘local’ places. If you’re on a budget, go for the plat du jour in France, fill up on tapas in Spain, or share a meze in Turkey. In Italy, try some of the local pasta dishes and a really good, simple pizza is a must in Naples. Sadly, the Med is vastly over-fished so fresh seafood is expensive, except in Croatia, which has some of the best alfresco fish restaurants in the region. Everywhere around the Mediterranean has its own local beer and, of course, wine, which is always cheaper than imports. Try the local specialities – light Provençal rosés, Prosecco for decadent elevenses in Italy, some of the classier Greek wines in the islands, and the robust reds in Croatia.